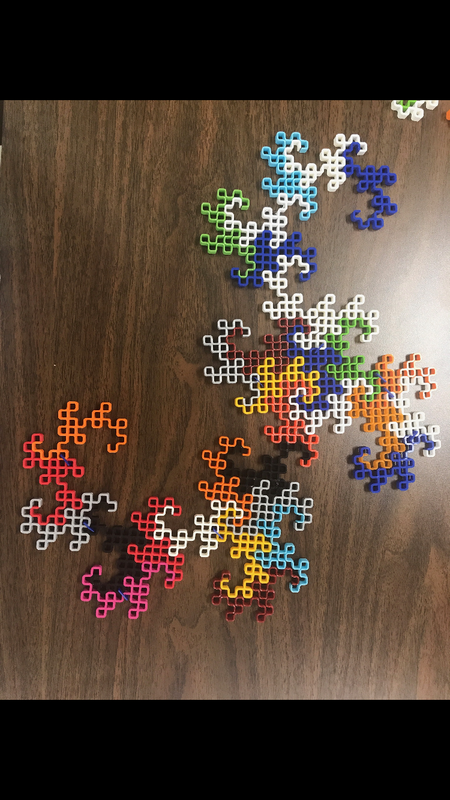 For the final class of the semester, Hugh and I did a presentation on the dragon curve at the showcase. 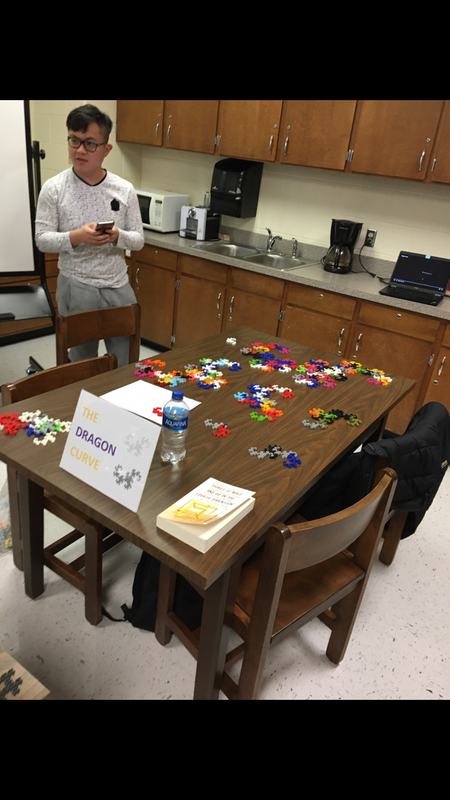 We had examples of every level of the dragon curve from level one to level 12. 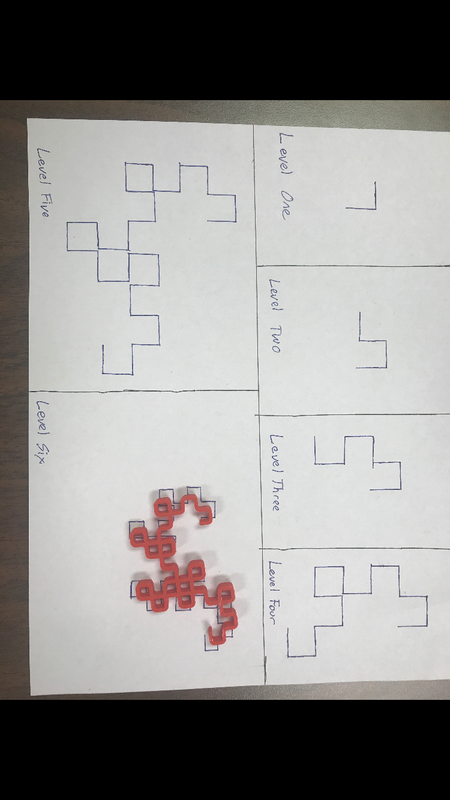 We constructed levels six through 12 and drew out the first six levels of the curve to show the progression. 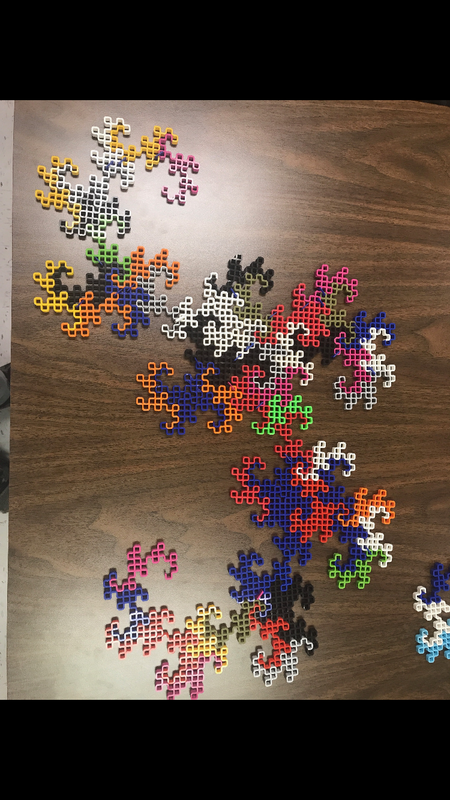 We explained that all fractals have a set parameter and infinite area at any level. 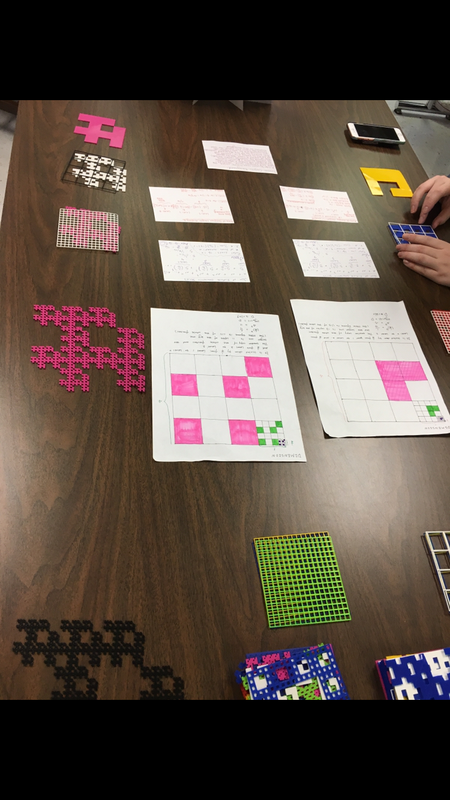 We had our constructed examples set out on a large table and some spare pieces printed (at level 6) for those that wanted to try to figure out how it was done. Many people got to level 7 or 8, but none got any further than that. 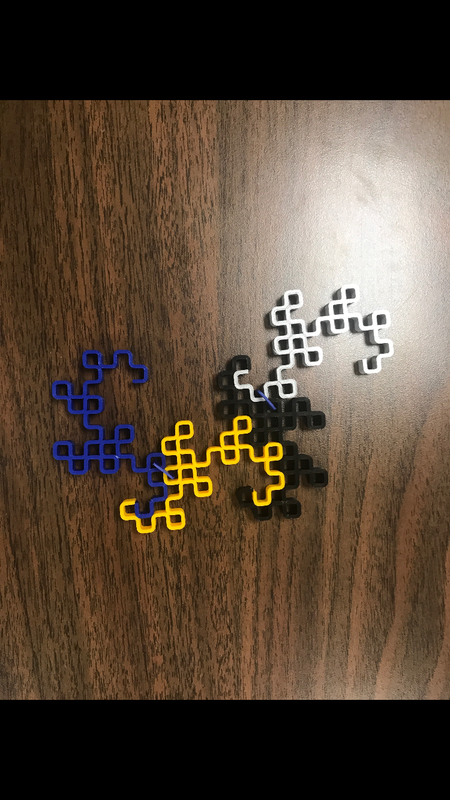 We also played a video, to aid with our explanation that shows the dragon curve through many more iterations or levels than we were able to accomplish. 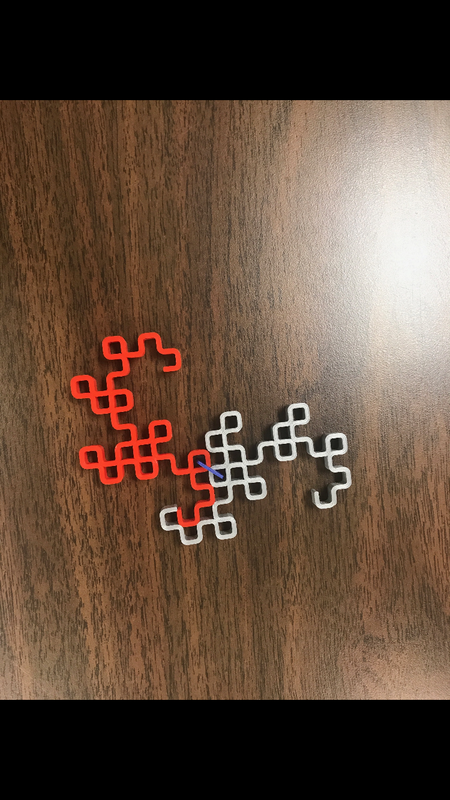 This is the video we used. The photos above show the setup of our event. Unfortunately we did not get any photos during the presentations, as each was relatively short, and we could not find the time to take photos. 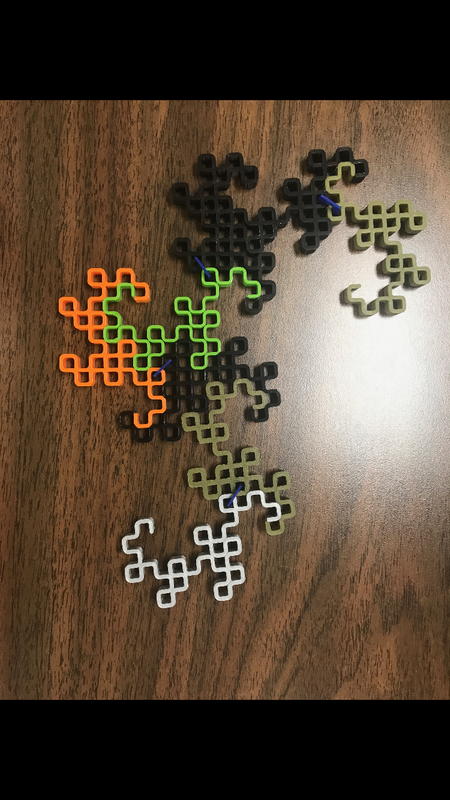 I believe our presentation, as well as the showcase in general, made many people aware of a side of math that many people don’t know about, and allowed some people, especially those that don’t usually enjoy math, to see some of the cool and exciting things you can do with very basic concepts and a 3D printer. 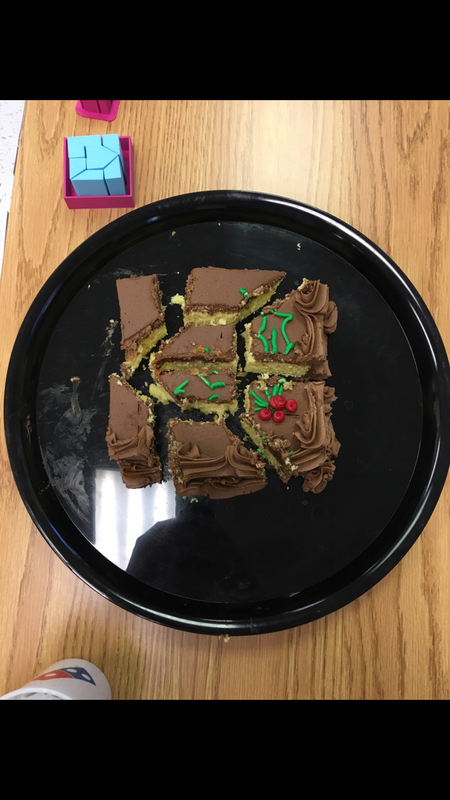 We also enjoyed walking around and visiting other groups projects, especially the cake cutting project (which was giving out cake), and the fractal carpet project. 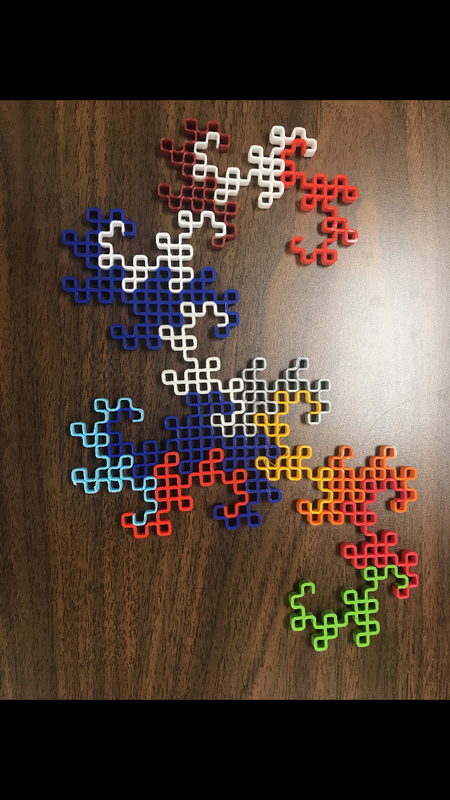 A carpet design was created in OpenSCAD, and we were given the code for it and allowed to play around with it to come up with cool designs while creating a fractal out of a 4X4 square.